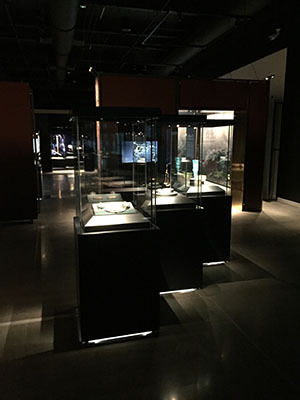 The exhibition The Vikings Begin – Treasures from Uppsala University is in Seattle until April 2019. 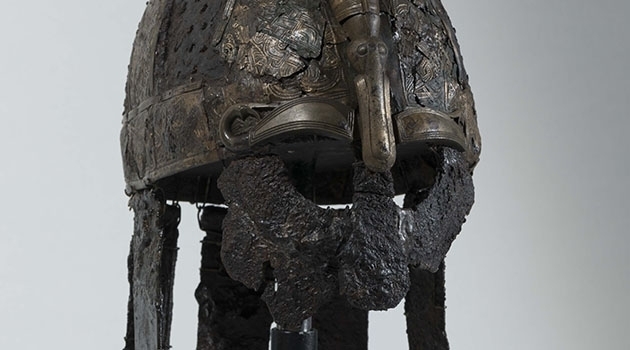 Artefacts include a 7th-century helmet. A two-year Viking exhibition with 1,300-year-old artefacts from the time leading up to the Viking Age is currently touring the United States. The artefacts are normally displayed at Gustavianum, Uppsala University Museum, but are now being shown to a broader audience at three museums in the United States. The Vikings Begin recently opened at the Nordic Museum in Seattle. It was previously at the Mystic Seaport Museum outside of Boston. The exhibition will be in Seattle until mid-April 2019 and will then move to the American-Swedish Institute in Minneapolis in May. The Vikings Begin – Treasures from Uppsala University has been produced by Gustavianum, Uppsala University Museum, in collaboration with archaeologists at the University. The purpose has been to explain how Viking Age came about and is based on advanced research and exciting artefacts from the University’s collections. A few years ago, Uppsala professor Neil Price, together with archaeologists John Ljungkvist and Charlotte Hedenstierna-Jonson, received a large research grant from the Swedish Research Council for “The Viking Phenomenon” project. The findings from the grave site at Valsgärde are important for answering questions about how Viking society emerged. This is why artefacts from these excavations are included in the exhibition in the United States. “There has been a lot of interest in the US. In Boston the exhibition had nearly 86,000 visitors over four months and we saw similar levels of excitement when it opened in Seattle,” explains Marika Hedin, museum director at Gustavianum.